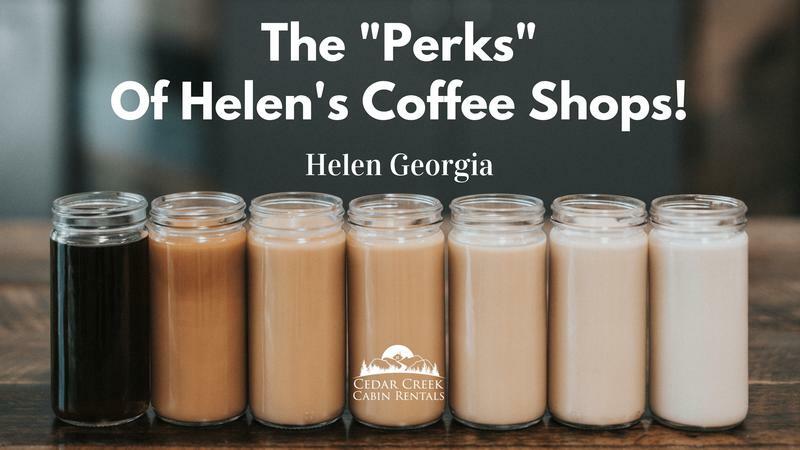 Come Enjoy The "Perks" Of Helen's Coffee Shops! 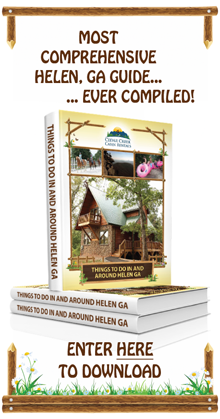 As one of the top tourist destinations in the Southeastern US, Helen, Georgia, offers an amazing range of locally-crafted artisan food shops, including some of the best coffee you're likely to find anywhere in the state! If all you've had lately is Starbucks' burnt brews, perhaps it's a time for a trip north to find out what great coffee really tastes like! We don't like to play favorites, but if you asked us which coffee shop we frequent when we're taking in the scenery of downtown Helen, it would have to be the JumpinGoat. The JumpinGoat isn't just a cafe - it's run by people who are passionate about coffee! 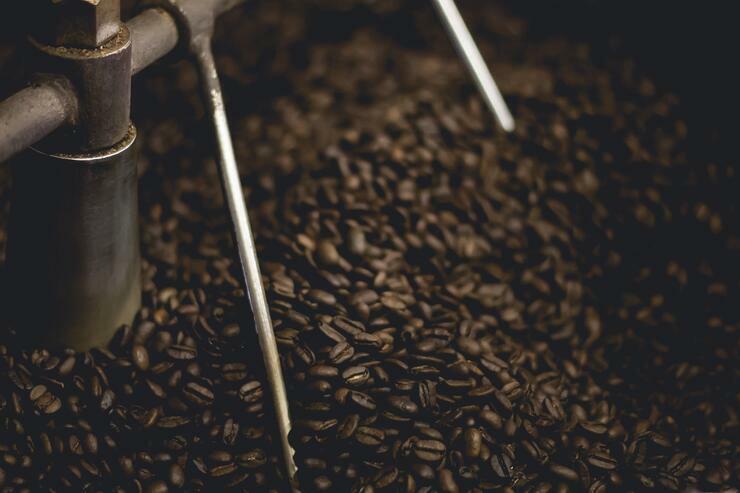 Every bean they stock is hand-picked from AA-rated single-source suppliers around the world, from Colombia to Ethiopia. With those as a starting point, it's hardly a surprise that the Goat's custom blends are famous across the area, with people stopping into Helen just for a bag of their roasts. 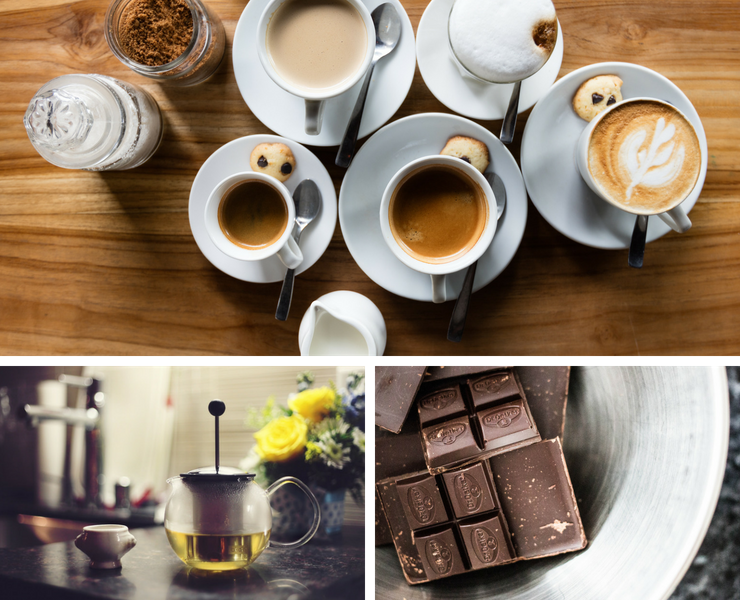 If coffee is too strong for your tastes, they also stock an equally-impressive range of worldwide artisan teas and chocolates, along with all the equipment needed to make a perfect cup. Whether you stay inside their quaint cottage or enjoy the mountain views from their open-air seating, the Goat is an experience to remember. A trip to Helen just isn't complete without a stop by the JumpinGoat. Sometimes you need more than just a cup of coffee. For a quick snack and pick-me-up, there are few better choices in Helen than Muller's Famous Cafe. Muller's is family-owned and specializes in authentic German and Czech recipes straight from the Old World. They're best-known for their amazing fried cheese, which goes perfectly with a smooth cup of white coffee. Their range of traditional deserts includes strudels and the best crepes in Helen! They also brew their own tea on-site, as part of their cozy and home-like atmosphere. A brunch or mid-afternoon meal at Muller's is a perfect break from your Helen experience. The Higher Ground Coffeehouse is a local Helen institution, one that's often overlooked by tourists. Honestly, we don't mind - that just means more of their amazing Bee Stings for ourselves! The Higher Ground's signature drink is a mouth-watering mixture of espresso, milk, vanilla, and plenty of locally-sourced honey. If you stopped by just to get one to go, we wouldn't blame you. Higher Ground also offers a fine range of frozen beverages, including fresh fruit smoothies made directly from local produce. If it's too warm for coffee, the Higher Ground still has you covered with some of the most delicious iced drinks in town. It might not be as flashy as some of the larger shops, but an hour spent relaxing at the Higher Ground can recharge you for the rest of your day! 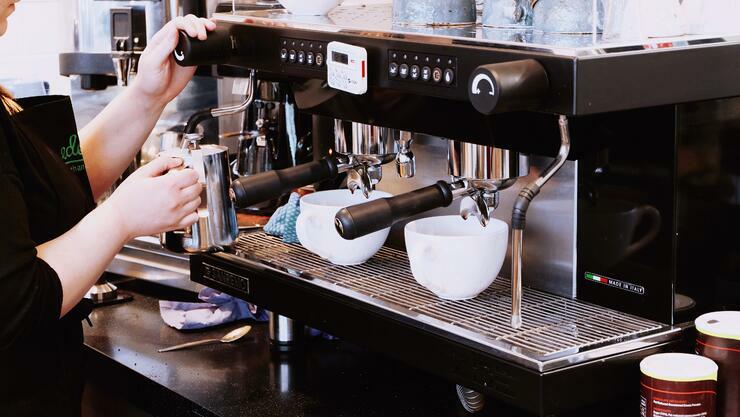 Located just a few miles away in the Village of Sautee, Sweetwater is another bold coffee-sipping opportunity nestled beneath the Appalachian Mountains. 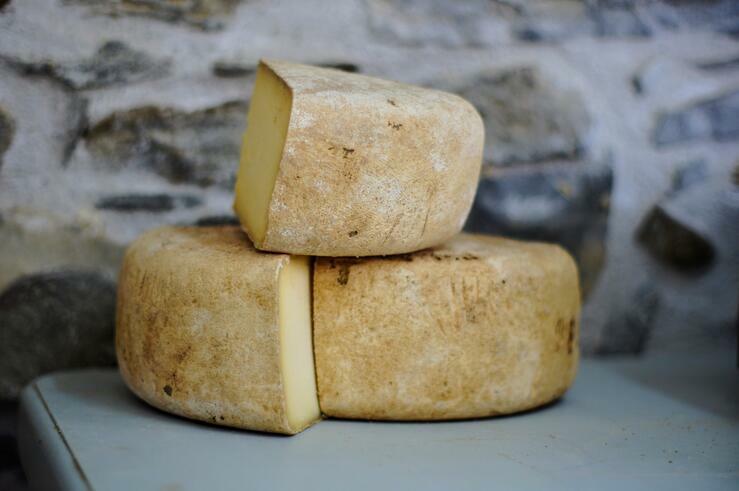 What makes Sweetwater different is that as many of their ingredients as possible are sourced locally - even the milk! The water that goes into their coffee is clean and pure mountain stream water, which has never seen the inside of a chemical-laden city treatment plant. The result is some of the best coffee in the area, in a cozy little cafe that's made for relaxation. The staff is friendly and helpful, but laid-back. They won't be hovering over you pushing for more sales. And if you want to borrow a deck of cards and spend the afternoon in a quiet game, that's great too! From the outside, Hofer's of Helen looks like something out of a storybook, especially in the winter. Their high-peaked Bavarian roofs, balcony views, and decorated trees take an old-world cafe and move it into the new world! Inside, it's one of Helen's best-loved dining establishments, with a full range of German-inspired foods and beverages. There's even a full biergarten! 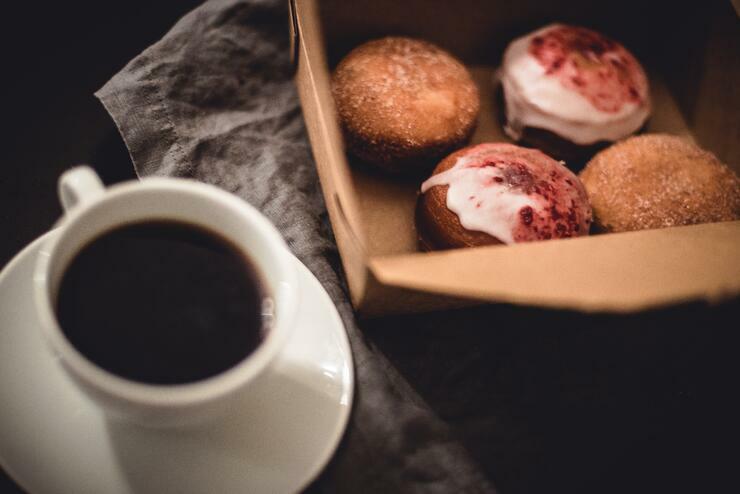 Their on-site bakery stocks an incredible range of goodies, from cakes to traditional Oktoberfest pretzels, making the perfect accompaniment to their hot drinks. It's easy to overlook the coffee shops when you're hungry in Helen, but you're missing out if you do! 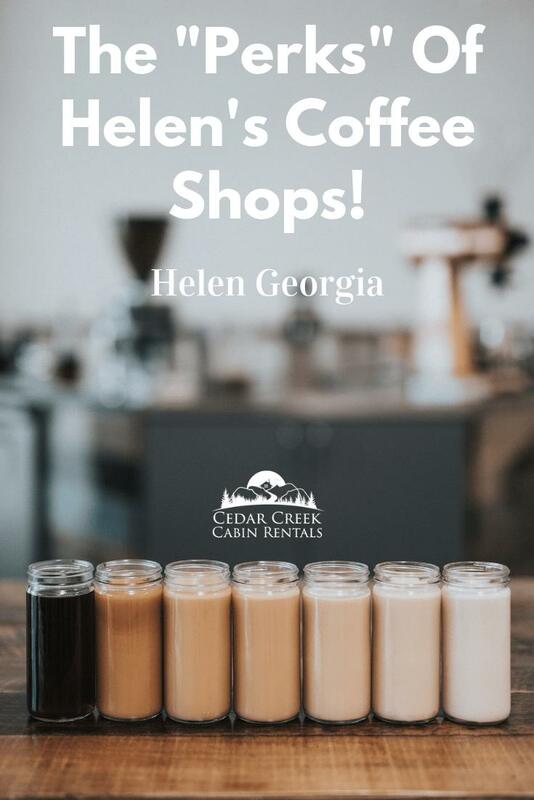 Whether you're living in luxury for a few days in a mountain cabin, or just here for the day, a cup of Helen coffee is bound to perk you up! 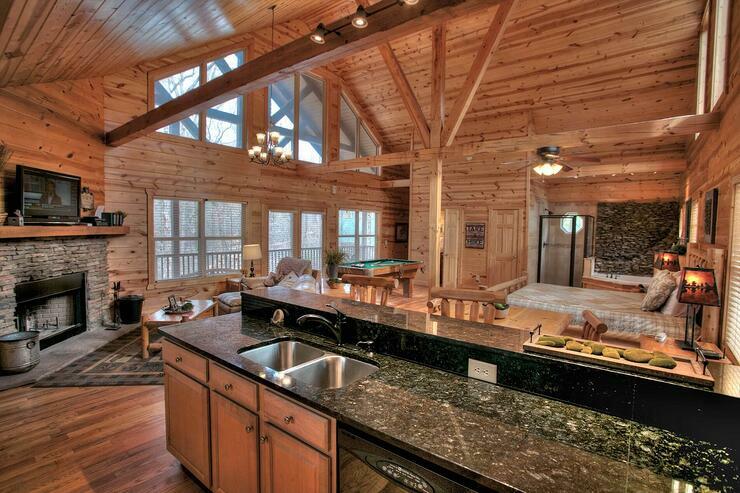 To book a cabin with Cedar Creek Cabin Rentals or to get more information, CLICK HERE!